May 20, The Iran Project – IPU Palestine Committee meeting opens in Tehran; New ambassadors submit credentials to Iranian president; Iranians hold rally in Tehran to condemn Israel’s massacre of Palestinians; Iran marks National Ferdowsi Day; Foreign Minister Mohammad Javad Zarif trip to Russia and Brussels and meeting with his French, British and German counterparts, the EU’s FP chief Federica Mogherini over salvaging the nuclear deal; NISOC, Pergas sign HOA for developing Iran oilfield; President Rouhani addresses extraordinary OIC summit in Istanbul and EU Climate Action and Energy Commissioner Miguel Arias Cañete travel to Iran and meeting with senior officials are among major headlines dominated the country’s media outlets in the past week (May 14–May 20). The extraordinary meeting of the Palestine Committee of Islamic Inter-Parliamentary Union’s (IPU) opened in in Tehran on Monday. Tehran and Moscow say they will preserve the 2015 Iran nuclear deal despite Washington’s decision to withdraw. Iranian defense minister said on Monday that the Islamic Republic of Iran is committed to fight terrorism. 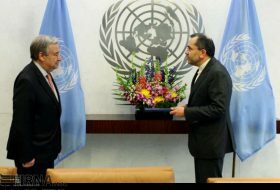 Iranian Foreign Minister Mohammad Javad Zarif said he has sent separate letters to secretary-general of the United Nations and the European Union foreign policy chief about future of the Joint Comprehensive Plan of Action (JCPOA) and the US breach of the nuclear deal. European Union Foreign Policy Chief Federica Mogherini read out a joint statement about the future of the 2015 nuclear deal between Tehran and world powers at a press conference in Brussels on Tuesday. Iranian President Hassan Rouhani has stated that Tehran will not surrender to the US pressure, sanctions and even threats of war, Iranian state-run news agency ISNA reports. Iranian people held rallies in Tehran on Wednesday in protest at the relocation of the US Embassy from Tel Aviv to the Holy Qods. 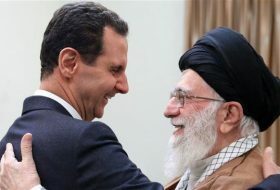 The ninth round of crisis resolution talks between the Syrian government and armed opposition, mediated by Iran, Russia and Turkey, has come to an end in Astana, building a positive outlook for momentous follow-up negotiations. U.S. President Donald Trump has “rid Europe of all illusions” by quitting the Iran nuclear deal and driving trade disputes, the European Union chairman said on Wednesday, underlining the depth of trans-Atlantic discord. Iran’s semi-official Fars news agency is reporting that a violent protest in the southwest city of Kazerron has left at least one person dead and six others injured. Leader of the Islamic Revolution Ayatollah Seyyed Ali Khamenei says Palestine will finally be freed from the clutches of enemies and that Jerusalem al-Quds will be the capital of Palestinian state despite US attempts to distort this reality. 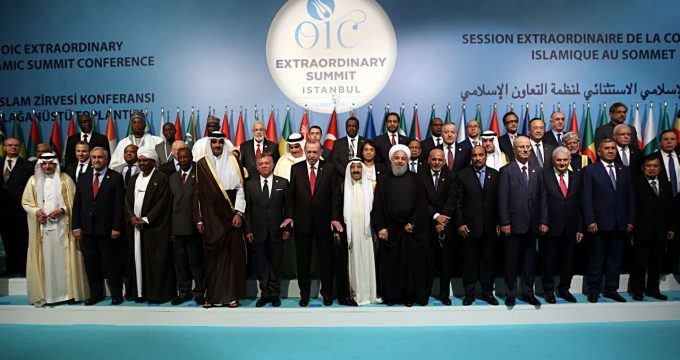 An emergency meeting of the Organization of Islamic Cooperation (OIC) opened late Thursday in Istanbul to explore recent developments in Palestine and protest the Zionist regime’s crimes in Gaza and relocation US embassy to Holy Quds. The governor of Iran’s southern Fars Province says the situation in the city of Kazeroun is under control following protests against a plan to separate some districts of the city and merge them into a new town. We met today to confirm the continuing commitment of the European Commission and the Atomic Energy Organisation of Iran towards the implementation of the Joint Comprehensive Plan of Action (JCPOA), and in particular its Annex III which addresses civil nuclear co-operation. 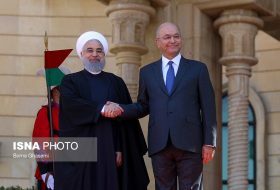 We believe that the continuing implementation of the JCPOA, which was unanimously endorsed by UN Security Council Resolution 2231, is crucial for the development and progress of the region as well as the global peace and security. President Hassan Rouhani said on Saturday that US plots to encourage Iran to withdraw form JCPOA quickly failed as the first big plot neutralized by Iran. 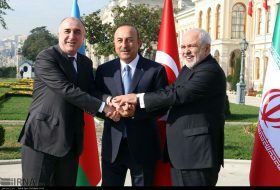 The Islamic Republic of Iran, the Russian Federation and the Republic of Turkey as guarantors of the observance of the ceasefire regime in the Syrian Arab Republic issued a joint Statement on the International Meeting on Syria in Astana. 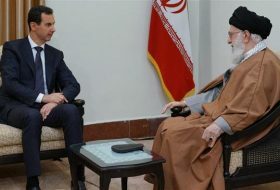 The United States, in a joint action with its Persian Gulf Arab allies, has imposed a new round of “terrorism-related” sanctions on the leadership of Lebanon’s Hezbollah resistance movement, citing the group’s involvement with Iran. The Tehran-based newspaper Kayhan says it has obtained a copy of a report by an Arab intelligence apparatus that claims Saudi Crown Prince Mohammed bin Salman, who has mysteriously disappeared for weeks, could be killed in a shooting incident late April. The eldest son of US President Donald Trump reportedly met with a Persian Gulf Arab, who assured him of support by crown princes of the United Arab Emirates and Saudi Arabia. Total (TOTF.PA) will pull out of a multibillion-dollar gas project in Iran if it cannot secure a waiver from U.S. sanctions, the French energy company said on Wednesday. Shipping group A.P. 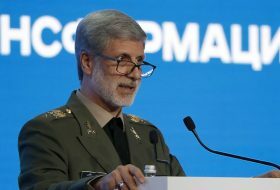 Moller-Maersk (MAERSKb.CO) on Thursday joined a growing list of companies preparing to call a halt to doing business with Iran, casting doubts on whether European leaders can keep alive a nuclear deal with Tehran. 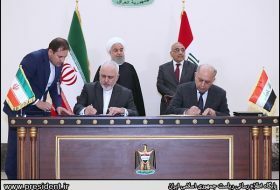 Agreement on preferential trade between Iran and member countries of Eurasia Economic Union was signed in Astana, capital of Kazakhstan, on Saturday in presence of Minister of Industry, Mine and Trade Mohammad Shariatmadari. Iranian Oil Minister Bijan Zanganeh says Tehran’s oil exports to remain unchanged if the Iran nuclear deal is salvaged by the EU following the US withdrawal from the multinational accord. May 15 is considered a major cultural event for Iranians to both commemorate the great Persian poet Ferdowsi and celebrate Persian Language Day. 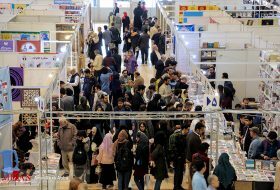 The day will be celebrated with a miscellany of programs across Iran today. Holy month of Ramadan starts in Iran and several Muslim countries including Egypt, Oman, Yemen, Iraq, Pakistan and Saudi Arabia as of Thursday. In a project financed by France, Iran has established the largest blood bag manufacturing factory in the Middle East, creating at least 200 new jobs, said the Director General of Iran Blood Transfusion Organization. The 2018 Cannes jury announced the awards of the festival’s 71st edition, with Japan’s ‘Shoplifters’ winning Palme d’Or and Iran’s Panahi sharing best screenplay prize for ‘3 Faces’.